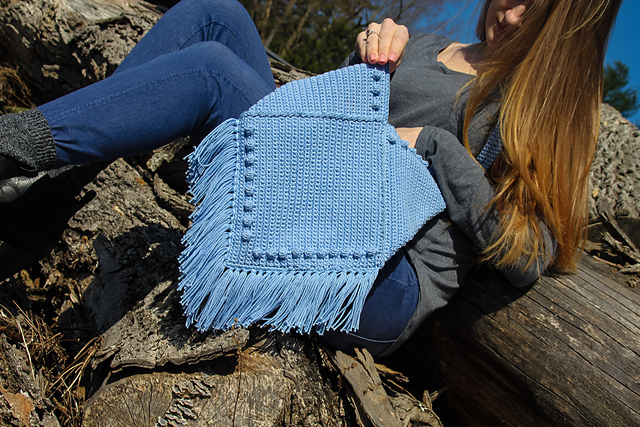 Wonderful boho bag with interesting texture and tassels. It is made in a great blue color. It is very subtle and feminine. It is very subtle and feminine. Every woman should have this design in her handbag collection. The bag is very practical and comfortable to carry. It will perfectly decorate any of your styles. 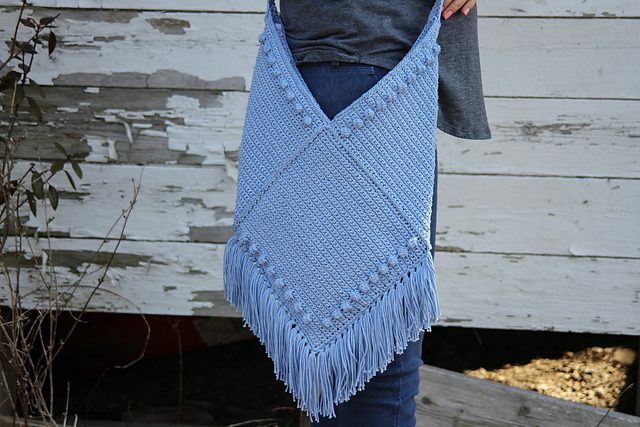 This is a free pattern to download. The bag looks fantastic for elegant and sporty styling. Good luck!